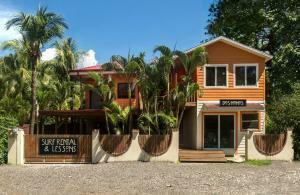 ﻿ Best Price on Hotel Atrapasuenos in Santa Teresa + Reviews! Offering an outdoor pool and a spa and wellness center, Hotel Atrapasueños is located in Santa Teresa, just 328 feet from Playa Santa Teresa beach. 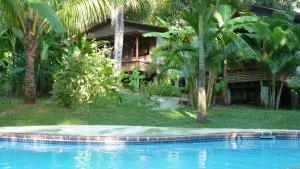 Guests enjoy free WiFi and lush gardens with BBQ facilities. Each room here is air-conditioned and includes a cable TV, a dining area and a safety-deposit box. There is also a private bathroom with a shower and toilet. At Hotel Atrapasueños you will find a shared terrace, while other features include a tour desk and laundry facilities. An array of activities can be enjoyed on site or in the surroundings, including cycling, horse riding and fishing. The property offers free parking.